The Heyfield mill issue, is not just another story on the news. It’s personal. My mum’s first job was at Tryhorn’s in Heyfield more than 50 years ago. My extended family lives in the district and I have many personal friends who are proud of their Heyfield heritage. My first memories of Heyfield was doing battle on the junior footy field: they were strong country kids and if you took on one, you took them all on. They had fierce team spirit which I now understand comes from the strength of community that has led to many sporting triumphs over the decades. Heyfield thrives on its reputation of being hard to beat in everything it does. For the workers, their families, small business owners and contractors associated with the mill, their livelihoods are at stake. The future of the proud town they know and love is under threat. The town that has demonstrated extraordinary resilience in the face of fire, droughts and community tragedies is facing the biggest challenge in its history. 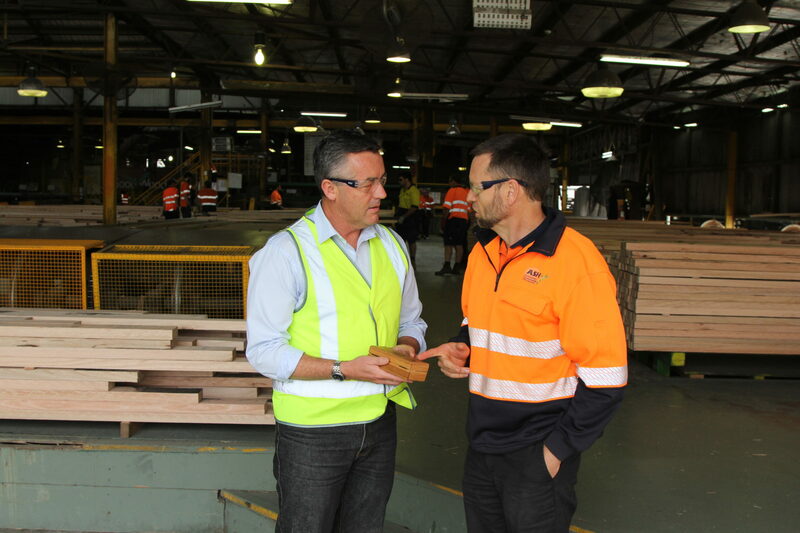 If Australian Sustainable Hardwoods closes: more than 200 workers in a town of 2000 people, will be unemployed. This is a mill which has invested in new technology; is adding value to our hardwood timber resource; has growing demand for its world-class products; and is utilising a sustainable and renewable resource. It is profitable and viable, if the State Government sells it enough timber to process. If the mill closes: house properties in Heyfield will drop in value, small business owners will be forced to cut their staff numbers and jobs will also dry up in nearby towns. More young people will be forced to leave town and redundant workers will suffer physically, mentally and financially. I fear that lives will be changed forever – please reach out to a mate if you know he or she is struggling. If the mill closes: imported timber products from less environmentally sustainable sources will fill the gap in the market. Our forests are the best managed in the world with a massive national park and reserve system and only a modest area for sustainable timber harvesting. It is social, economic and environmental madness to replace locally-grown timber products with imported goods. As I said, Heyfield thrives on its reputation of being hard to beat. This is personal for many of our friends and families and we have to stick together. Share my post if you agree. We need to make this bigger than Gippsland. Write letters to local newspapers and the Herald Sun. Contact talkback radio and tell Victorians what Heyfield means to you and why the State Government needs to provide more sawlogs. Contact your friends and family in other parts of the state and ask them to contact their local MPs. Why not ring at least 10 people or send them a text – make your voice heard. Heyfield families shouldn’t have to fight for their jobs but it’s time to make city-based MPs understand what’s at stake. We are not beaten yet.